It's been 632 days since I last updated this "News" section of my website. Yes, I did the math. That is nearly two years. What this realization tells me is that social media is how I prefer to spread news. I do see the value in updating it here, so I cannot bring myself to delete this section entirely. Social media is the best way to stay updated on my progress as a writer, guys, so find me there if you can. Nonetheless, this page has some good memories for me, so I shall keep it. 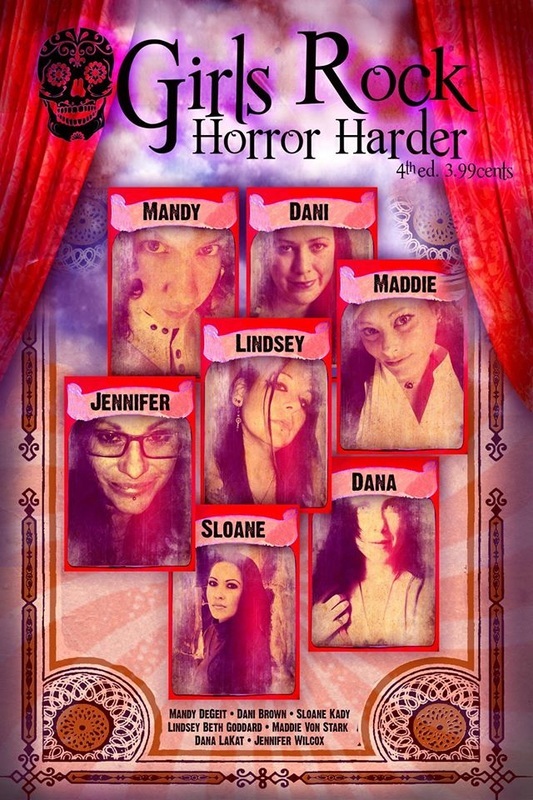 Girls Rock Horror Harder issue 4 is now available! Including my story "Con Man". The third issue of Girls Rock Horror Harder hit ebook shelves on September 28th. It is chock-full of female talent and priced at only $1.99! Available on Kindle and NOOK. Horror Hooligans - Girls Rock Horror Harder is OUT NOW. Available on Amazon, Barnes & Noble, and iTunes! I've been running a blog for a couple months now located at DirtyLittleHorror.com and I'd love to have more followers! This is a place for all things horror, whether it be movies, fiction, artwork, crafts, conventions, etc. Stop by and check it out, please! In other news, the cover has been revealed for Horror Hooligans issue #1, which will include my story "Damaged Goods", and I absolutely love it! Grab a copy on June 1st! My story "Invitation Only" is in Dark Moon Digest #18! Grab your copy today! 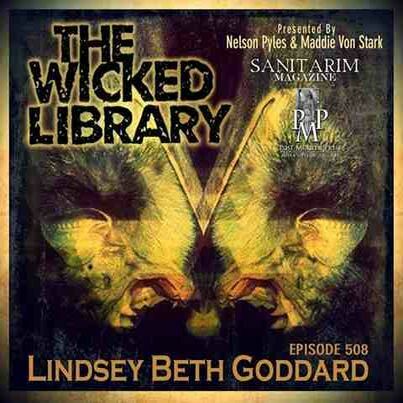 I've had two stories featured on season 5 of The Wicked Library podcast. My story "The Gift" was on this week's episode (which aired Friday Nov. 7th). 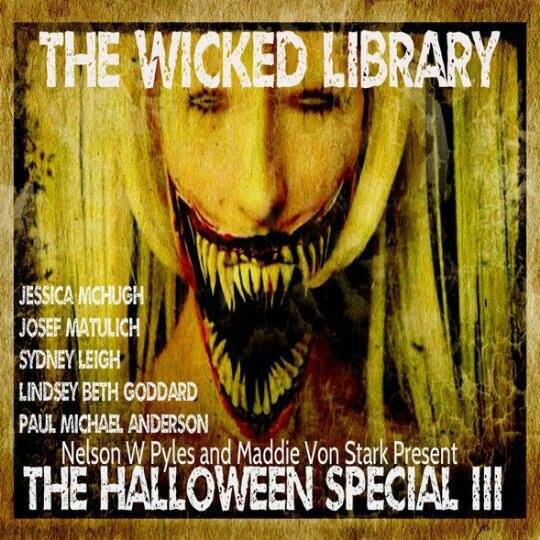 The week prior my Halloween tale "The Patch" appeared on the Halloween Special III. Links to both are provided below. 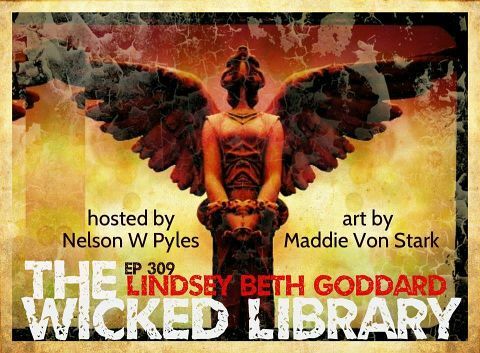 Click the picture of the episode you'd like to hear, and you're there! Fractured Realms is now available for purchase! (All profits to benefit The Autism Trust.) 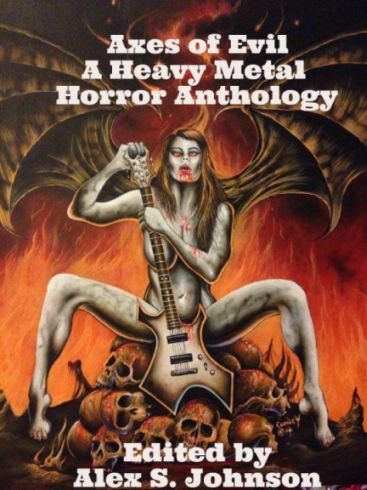 In this 195 page horror anthology, you'll find unique stories and poems which will not only entertain you, the reader, but also help collect donations for an awesome charity. My poem 'The Voice Inside The Mirror' is among the titles. Please purchase your copy today! A couple of acceptances to announce. Look for these titles in 2014! My poem "The Voice Inside The Mirror" will appear in the Fractured Realms anthology. All profits from this book go to The Autism Trust, so make sure to check it out. I'll post an update when it's available. Please support the presses by purchasing any of these fine books today! http://sirenscallpublications.wordpress.com/2013/09/26/new-release-mental-ward-echoes-of-the-past for a list of websites where you can purchase it. 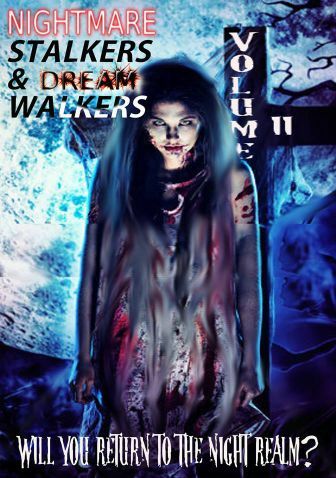 My short story "Gateway Drug" has been accepted for publication in Nightmare Stalkers & Dream Walkers through Horrified Press (http://horrifiedpress.wordpress.com). This anthology has an interesting theme and should be a very fun read. I'll post an update when it's available. As for what's going on with me, personally, as a writer... I am feeling the need to slow down on short stories and concentrate on writing a novella. I've never published anything longer than a short, and I know it is a necessary step to earn my chops as an author. There's one more anthology I'd like to submit to before concentrating on a novella. The deadline is August 1st, and I've only managed a few paragraphs so far. We shall see if I can make the deadline! After that, though, I plan to slow down on the short fiction and focus my efforts on something longer. I will still post updates here, as I have a TON of work coming out this fall / winter. Stay tuned. 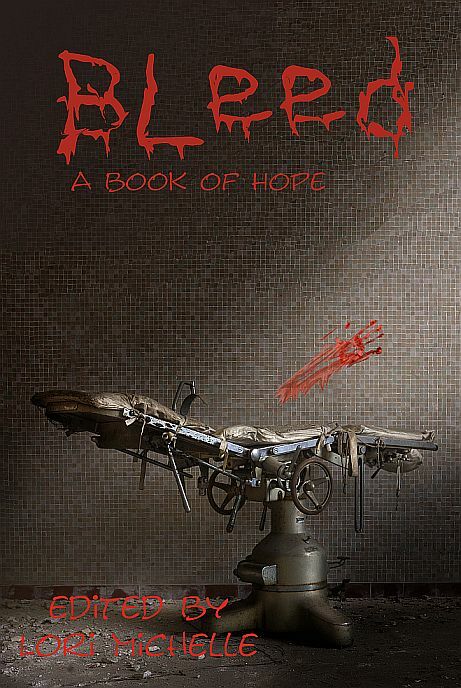 I just received word that my story "The Gift" has been selected to appear in Bleed, a horror anthology for which all the profits will be donated to the Children's Cancer Fund. I'll post an update as soon as the book is available, so that everyone can help out this wonderful cause! I'm particularly fond of this story. I tried to incorporate a message of love and hope amidst chaos--in this case, humongous bats. I think my readers are going to dig this one! My flash fiction story "IDK" appeared in the June Issue of Yellow Mama. I'm hoping to add a section to this website, providing links to all the interviews I've done online (that is, interviews with ME). I spend quite a bit of my free time interviewing fellow authors, so I think it's only fair that I promote my own interviews as well. :) Finding the time has been difficult. Life has been busy. Hopefully I'll get to it soon! My poem "Within These Walls" was accepted for the October issue of Infernal Ink Magazine (http://hydramstar.com/Infernal_Ink.html). I'll post another update / link when October rolls around. 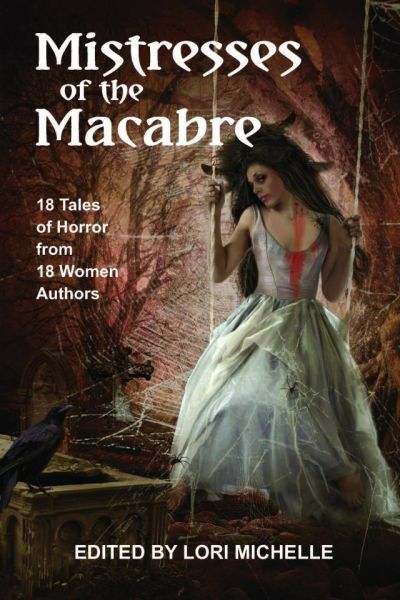 Also... the horror fiction anthology Mistresses Of The Macabre is now available for purchase! Grab a copy on Amazon. Just CLICK HERE. Some bad news. Pill Hill Press has closed its doors, so my flash fiction stories "Bare Minimum" and "IDK" will not appear in their Daily Flash 2013 anthologies. As a former editor, I perfectly understand the strain and the unrewarded workload of running a publication, and I wish the editors well. I'll find another home for these stories. In a bit of good news, I thought I'd share the cover art for Mistresses Of The Macabre, which is coming out through Dark Moon Books this Spring. It is amazing. My story "Out With The Old" will be in this one. 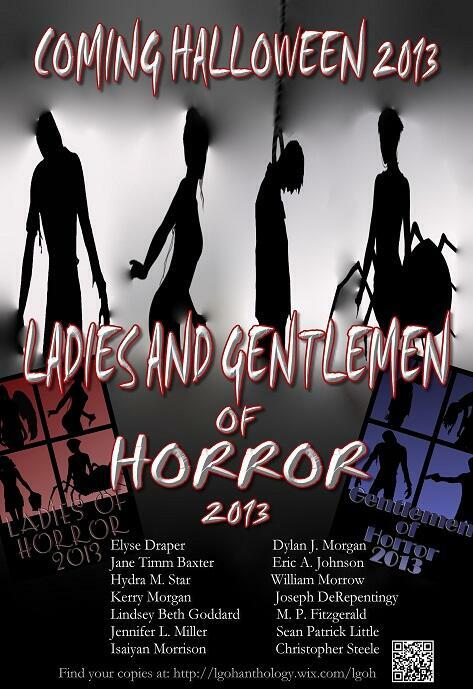 Also, please click below to check out the website for Ladies Of Horror 2013! I'm excited to take part in a LOH anthology again! So there you have it, my most recent update. With the bad news comes the good news, and so goes the writing game! Although I haven't been writing nearly as much as I should, I do have a few updates worthy of posting on the site. My story "A Fairy Scary Night" is now available for FREE at Dark Fire Fiction Issue 58. 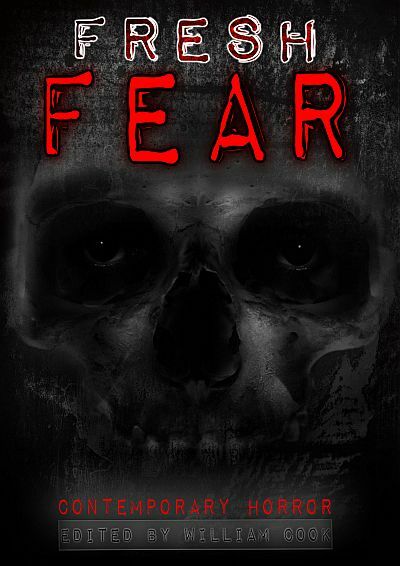 To read this story, simply visit http://usersites.horrorfind.com/home/horror/darkfire/fiction_Goddard0712.html. Also, my flash piece "IDK" has been accepted for DAILY FRIGHTS 2013: 365 DAYS OF FRIGHTENING FLASH FICTION. My story "A Fairy Scary Night" has been accepted for publication in two different web-zines. It will appear in the July issue of Dark Fire Fiction (website) as well as the October issue of Hogglepot (website). I will provide links when the story is available for online reading! I'm excited to announce that you can now purchase a copy of Night Terrors at many retailers, such as Barnes & Noble and Amazon.com, or directly from KayellePress.com. Easier still: I've linked the image above directly to the Amazon page! Are you short on cash? The Kindle edition is only $3.99!! In other news, the Western anthology featuring my story "The Moonlight Swamp Monster" has a title, a cover, and is slated for release within the next couple of months! 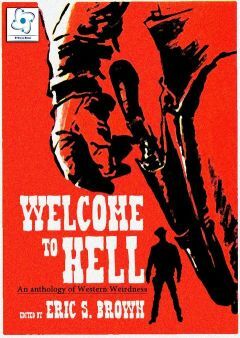 Perhaps my opinion is biased because my story is a part of this book, but doesn't "Welcome To Hell" have the most eye-catching cover you've seen in a while? I adore it! Need I mention that all of these stories were selected by Eric S. Brown? If you haven't read his work, suffice it to say I suspect these stories will be action-packed. Mr. Brown knows how to move a plot along and keep the reader flipping pages, and I have a feeling this book will be the same. I am honored to be alongside some great authors, whose work I respected long before sharing a table of contents with them. My flash fiction story "Bare Minimum" has been accepted for publication in "Daily Flash 2013: 365 Days Of Flash". Visit the Pill Hill Press website for updates! Hello! This is where I'll post news updates about what's happening with my writing projects. Recently I heard back from E-volve Books, formerly known as Naked Snake Press (click here to visit their website) concerning my story "The Moonlight Swamp Monster". 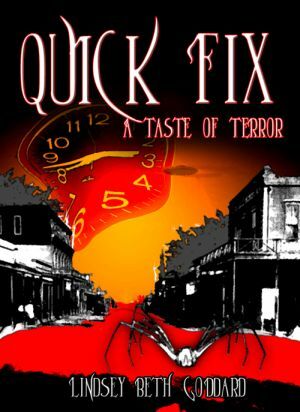 I'm proud to announce it will appear in their western themed horror anthology this year! I also heard from Kayelle Press (click here to visit their site), and they bought my romantic insect story "Product 9" for their upcoming anthology, Night Terrors. How can a story about bugs be romantic, you ask? Well, you'll have to find out! 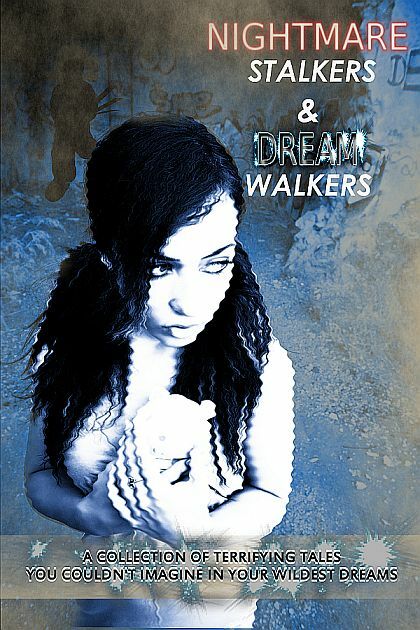 :) Also, watch for my reprint "A Child's Game" in the October issue of Twisted Dreams Magazine. Come back soon for more news updates!